Currently, the FiT scheme pays people for generating their own sustainable and clean energy from small-scale, low-carbon, installations while also providing extra payments for those who manage to create more than they use. In what could be considered a frustrating move for everyone in the industry, the uncertainty of what the closure of this scheme will mean has already resulted in an increasing number of investors avoiding solar altogether and looking for investments elsewhere. The FiT scheme provided a great way of providing a solid ROI for those looking to deploy solar power as well as a way of bringing the overall costs down, and the removal of this could mean less incentive for people to invest in Solar. The closure of this scheme could have a huge impact on the amount of renewable energy going into the grid as the loss of incentive and funding reduces the amount of people who invest in solar power. Investment in green energy fell 56% in the UK in 2017 after years of huge cuts and months of stop-start support from the government, and with the FiT scheme closing this could only drop further. The removal of this scheme and the increasing number of hurdles put in the pathway of individuals trying to contribute to energy efficiency could deter individuals from installing solar panels due to the risk of constantly changing rules leaving them out of pocket and the potential risks of this is an issue that needs to be considered before change is made. With the accessibility of renewable energy sources on the rise, the closure of this scheme makes way for new and better funds and support to take its place. 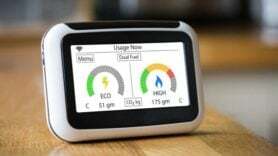 With FiT’s having supported the majority of small-scale low-carbon energy installed in the UK, it has been invaluable in contributing to the reduction of greenhouse gases, but with investor confidence waning, it could be argued that the closure of the FiT scheme could not be coming at a better time. On one hand, the closure of this scheme opens doors for new flexible markets and schemes to take its place. If successful, this would widen the market to make it more accessible and increase opportunities for more individuals to save themselves money while also contributing to the government’s efforts to become more energy efficient. While the closure of the FiT Scheme could result in a capacity short fall as less people use solar power instead turning to coal and other non-renewable energies, the full benefits of the closure of this scheme are still unknown. There are still a lot of issues to be resolved before this scheme is closed and the complexity of these issues means time is needed to resolve them. If you would like to know more about our products and solutions and how we can help you make an impact, please contact KiWi Power.